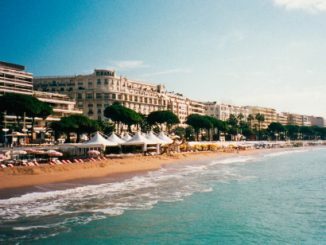 Cannes may be best known for its glitzy and glamorous international film festival. But over the past two weeks, the biggest stars of the fabulous French Riviera have been poker players. No poker player played a bigger role nor gave a more masterful performance on the Cote d’Azur than Elio Fox, from New York City. He won the 2011 World Series of Poker Main Event Championship, which came to a rousing conclusion late Thursday at Hotel Majestic Barriére, in Cannes, France. For his victory, Fox collected a whopping USD $1,927,310 in prize money. He also received the most-cherished prize in the game of poker – his first WSOP gold bracelet. 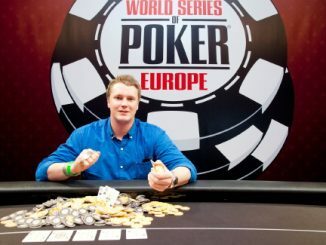 Fox became only the fifth WSOP Europe Main Event Champion in history, following in the trail-blazing footsteps of four previous champions crowned in London, and exclusive club, which comprises Annette Obrestad (2007), John Juanda (2008), Barry Shulman (2009), and James Bord (2010). But Fox’s feat was perhaps the most impressive of any before, since he faced the nearly insurmountable challenge of overcoming a record tournament field size. Fox triumphed over a door-busting 592 total entries, making this tournament the largest WSOP Main Event Championship ever. Making things much tougher, these were not run of the mill poker players. They were, according to just about any metric, the very best players in the entire world, which may actually infer the toughest 600 or so players of any event in history. With the competition so fierce, the stakes had to be high. And, they were. The €10,000 buy-in was equal to about USD $13,765. The No Limit Hold’em tournament generated the second-biggest non-WSOP Main Event prize pool of all-time, totalling €5,692,800 (USD $7,828,409). Fox dominated the final table action, holding the chip lead from the first hand to the last hand, and started the heads-up battle against Chris Moorman with a 3-2 advantage and only extended his lead. In the final hand, the chips were all-in pre-flop with Fox holding Ad-Ts against Moorman’s Ah-7s. The board ran out 6s-4s-3h-6d-8h confirming Fox’s victory while denying Moorman a shot at the WSOP Player of the Year title. “I think the most important thing to me is knowing whether I played well, or not. I get really hard on myself when I play poorly. Obviously, winning a lot of money is a great feeling. But as a poker player, I think it’s extremely important to be tough on yourself, especially when you are playing badly. Even if your results have been good, and vice-versa. Obviously, I am ecstatic that I won this. It’s an amazing feeling. But it’s also important to keep the important stuff in mind. I mean, winning a big title isn’t everything,” Fox said. On the sixth and last day, the final table unfolded amidst an unusual atmosphere for a WSOP gold bracelet championship event. Played inside one of the elegant ballrooms normally used to show premier movies by the world’s top filmmakers who annually attend the Cannes Film Festival, the final table atmosphere embodied about as different a feel from the November Nine ambiance as could be imaginable. There were no huge crowds, nor boisterous cheering sections. There were virtually no spectators whatsoever, at least in the live setting. Instead, wild enthusiasm was replaced by stately grace and quiet contemplation. It was as though a few of the world’s top chess grandmasters were playing inside an eerily quiet echo chamber. True to his name, Fox’s performance was as sly as any WSOP victory this year. He seized the chip lead during when play went down to 12-handed and then began the final table session with the biggest stack. It took him about nine hours – lightning fast by WSOP Europe standards – to demolish what remained of the competition and take his place alongside the greats who have won one of poker’s most prestigious prizes. Fox is a 25-year-old professional poker player. 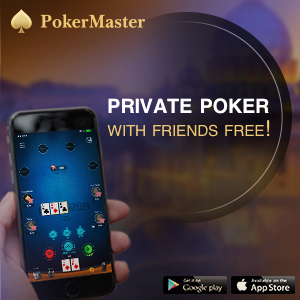 He was previously a college student at prestigious Bard College in New York before making the decision to play poker full-time. 2011 has been a monster year for the youthful new champ. Fox won the Bellagio Cup championship earlier this year, played in Las Vegas. For that victory, he won about USD $680,000. Fox won three times that amount here in Cannes, plus his first career WSOP gold bracelet. The top-64 finishers in this year’s WSOP Main Event Championship collected prize money. Also ranking among those who cashed were six former WSOP gold bracelet winners – including Jake Cody (8th), Amir Lehavot (15th), Erik Seidel (21st), Freddy Deeb (39th), Hoyt Corkins (42nd), and Sean Getzwiller (43rd). 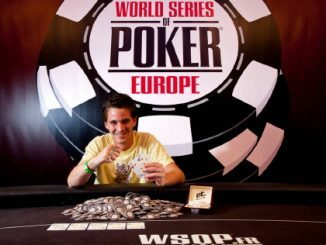 This tournament was a bold exclamation point to the most successful tournament series of the five years that WSOP Europe has taken place. Attendance and prize money figures exceeded all previous years.